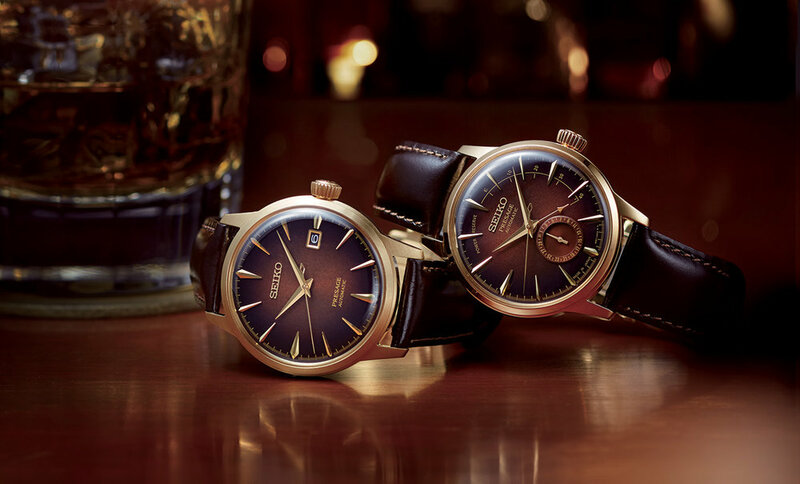 Expanding the popular range of Cocktail Time models in the Presage line up Seiko introduces four new models. The range is inspired by different cocktails produced by award winning bartender Hisashi Kishi from Star Bar in Tokyo’s Ginza area has proven to be a hit with customers. 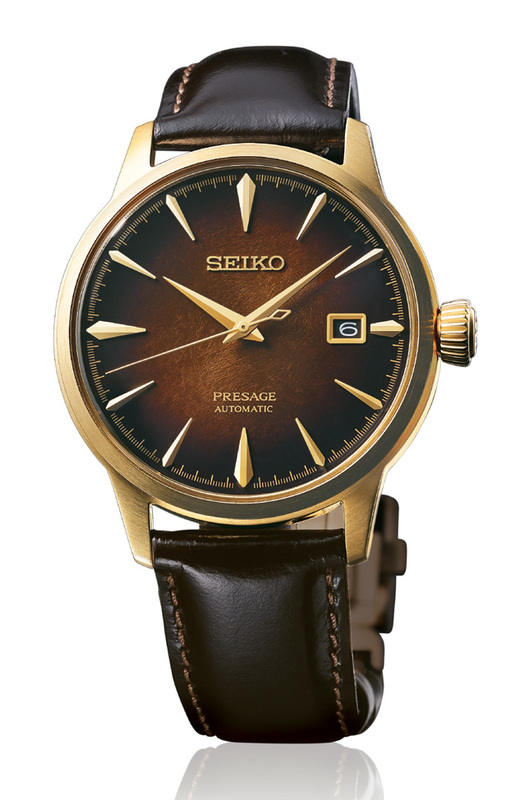 The dark brown color of an Old Fashioned was the inspiration for the SSA392J1 and SRPD36J1 models. The purple of a Black Cat Martini inspired the SSA393J1 while the green of a Mockingbird was the inspiration for the SRPD37J1.